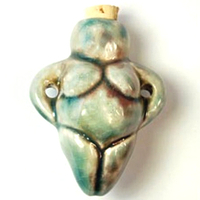 These beautiful little clay pendants are functional art handmade by a family of artisans in Peru. 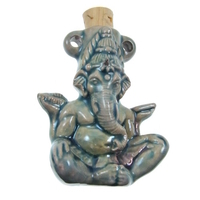 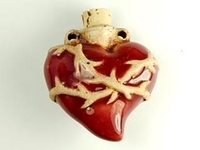 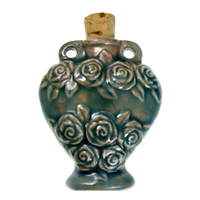 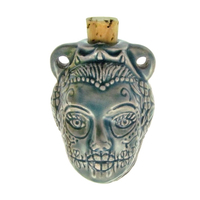 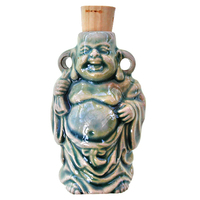 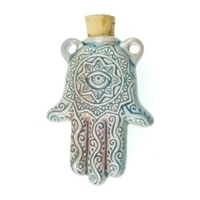 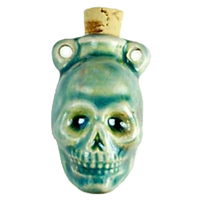 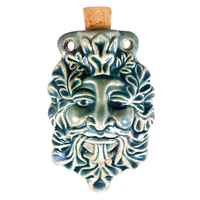 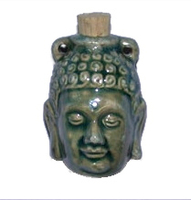 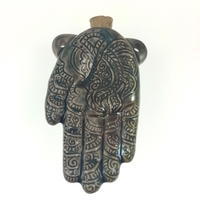 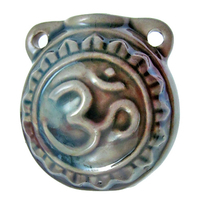 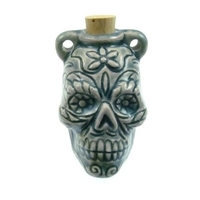 Each whimsically designed clay bottle makes an eye-catching centerpiece or stand-alone pendant. 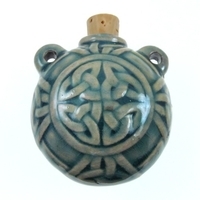 Clay vessels are perfect for holding your essential oils and fragrances. 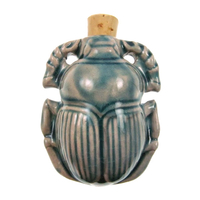 They come with a cork, and most have a blue green raku glaze finish. 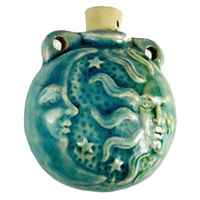 Neptune Clay Bottles 42 x 50mm blue green raku glaze New!